The design in this kitchen is artistically thought-out for an elaborate appeal. 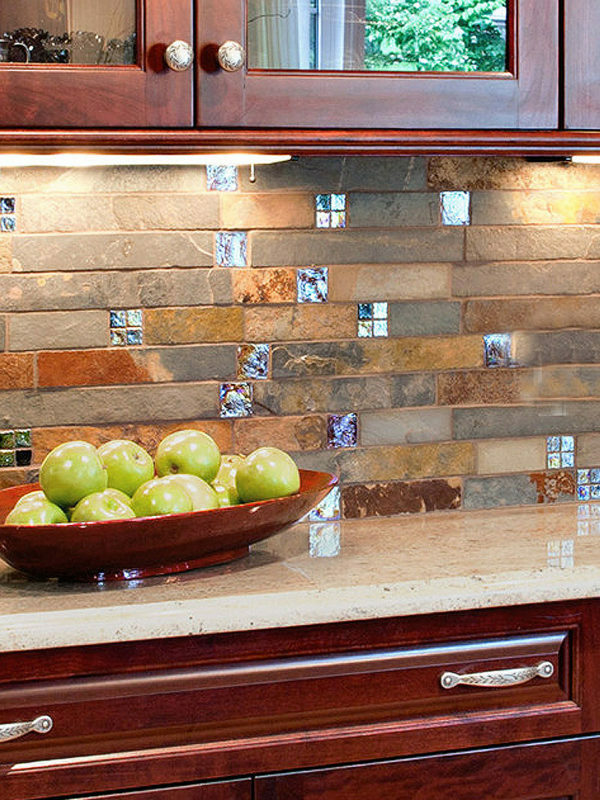 The tumbled 2X2 marble mosaic tile with 2×2 metal insert and giallo veneziano granite countertop that has a double line 1×1 marble mosaic combines creatively to give this room a balanced and welcoming shade that is irresistible. This also enhances the functionality of this kitchen giving it value and durability. Combine these with beige kitchen cabinets and bronze kitchen faucets and what you have is pure aesthetic extravagance. This entry was posted in BEIGE, BROWN, MARBLE, MOSAIC, TUMBLED HONED, YELLOW. Bookmark the permalink.